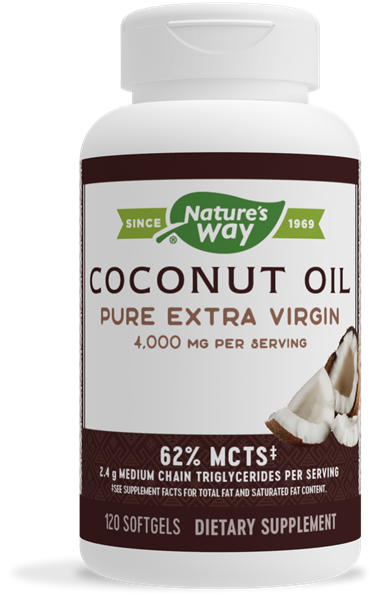 Coconut Oil / 120 Softgels - Nature's Way®. Non-GMO coconuts, unrefined & unbleached; Hexane-free. 62% MCTs‡: 2.5 g medium chain triglycerides (lauric, caprylic and capric acids) per serving. Take 4 softgels daily with meals.